The Queens Council on the Arts Junior Board (QCAJB) is comprised of a variety of young professionals from diverse occupational fields and backgrounds, each of whom has been hand picked for the opportunity. QCAJB members are mentored by the Board of Trustees to become ambassadors for our organization, develop leadership, and bring new skills and perspectives to the boardroom table. Jennifer is currently at Cityblock, a healthcare startup leveraging technology to address the root causes of health for underserved urban populations. She works in People Operations with a focus on employee relations, performance management, compensation benchmarking, and building and scaling policies & HR systems. Over the course of her career, she has had experiences in education nonprofits, where she taught in southern China and worked as a recruiter. In addition, she has a background in operations and management at several food catering startups. Jennifer is also a writer and has received residencies & fellowships from VONA, Atlantic Center for the Arts, and Vermont Studio Center. 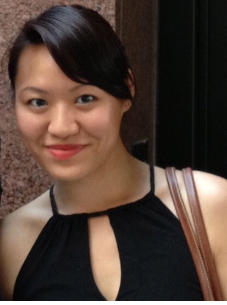 Her work appears in Asian American Writers' Workshop Open City Magazine, The Seventh Wave, and Newtown Literary. She was the prose runner-up in Brutal Nation, The Blueshift Journal's Prizes for Writers of Color, judged by Jeffery Renard Allen, and is currently working on a collection of short stories. Jennifer joined the Queens Council on the Arts’ Junior Board because she hopes to leverage her skills and experiences and combine her passion for the arts to help foster and develop creativity in Queens. She is especially interested in supporting diverse artists and initiatives that continue making Queens one of the most vibrant places in the world. Outside of work, Jennifer can be found wandering bookstores, baking, and hunting for the best dumplings in New York City. She is a proud Queens native from Woodside and Elmhurst, Queens.